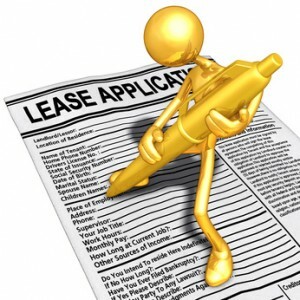 An up-to-date rental application form is a vital tool for a successful rental business. Asking the right questions of an applicant is key to obtaining the information needed to conduct a thorough tenant background check. What’s more, if the rental relationship goes badly, the application will provide the clues needed to collect tenant debt. First, more older renters are selling their homes – throwing off their shackles, and renting in trendy communities that offer them lifestyle advantages. College kids are staying with parents longer (and longer and longer!) as they struggle to find work and establish themselves financially. Additionally, many families have been displaced by economic hardship, and may be living with relatives. In each case, these ‘new’ renters won’t have a significant rental history. But that does not mean a landlord should forgo the required tenant screening reports or fail to collect references. Renters are trending towards roommates as home owners try to make ends meet, and adults search for ways to cut down on expenses. It is important to collect information from each adult that will be renting. Other trends also affect today’s rental application process. For example, most applicants now are using cell phones in addition to home and work phones. Many applicants will check email more often than a phone voice mail. Internet-savvy tenants are requesting electronic payment options so they can rack up credit card incentives. Others may prefer to pay bills online and avoid the hassle of writing and mailing paper checks. It may be to a landlord’s advantage to consider electronic rent collection to avoid late rent payments. Common landlord forms are easily accessible online, in stores, and through an increasing number of rental form vendors, encouraging the ‘do-it-yourself’ landlord to use a rental application form that may not be vetted. A slight majority of applicants now are pet owners, so it’s important to keep track of approved animals on the rental application form. As a result, what was once a simple form designed to serve as an inquiry now forms the basis of the rental relationship. Pay attention to signature lines. Many online forms leave off the signature lines — or don’t give you enough room to see the signature. Make sure the name is printed below the signature. The legal signature is crucial, as this is verification of your right to run tenant background checks. You need to provide a signature line for each adult who will be living in the unit, or require each adult to fill out a separate application, so you can run tenant screening reports on each. Don’t Squeeze. Don’t have a preconception that the form must be one page or one double-sided page. Leave space so the form is legible, especially after it’s been copied (to your collection agent or lawyer). You need to get all of the information you can. Leave enough space for references, employer, past landlords, multiple emergency contacts, and several personal references. Remember, there may be situations where it is imperative to find this tenant, or his next of kin. Give alternatives for past rental history and references. For example, if the applicant has been living with relatives and doesn’t have a previous landlord, ask them to list neighbors. 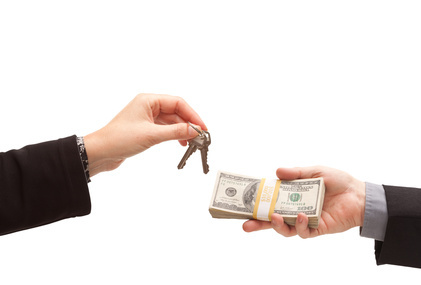 If you ever need to locate a delinquent tenant, you’ll be glad you have the right information! Here’s a question just for fun: A recent study shows that renters prefer dogs to cats as pets. Do you allow pets in your rental property? If so, which pets would you prefer as a landlord – dogs or cats? Please comment below. I allow both and have no preference except I require that I meet the dog before renting and it must be trained and sociable. I allow a smaller dog or cat and have no preference. It gives me an advantage over no-pet landlords. People are willing to pay more rent for pet-friendly properties and I get more applications. Meet the pet first and include a provision in the tenancy agreement that future pets must be approved by the landlord. Renters are willing to pay a reasonable pet deposit. I say in our advertisement for the property that I prefer no pets or a small dog at most. I will allow pets (including cats), and I don’t charge an additional deposit for them (which is a common question – in fact, several tenants have offered to pay one, which is a good sign I guess); however, I make it abundantly clear that scratch or digging damage, and flea infestations will result in charges either at the time they’re discovered or at lease end. I had one situation of digging damage (chewed/clawed the back door frame) and one situation of floor scratching. Both resulted in deposit deductions with no argument. We have had tenants with pets assuring us that the animal is trained and is well maintained. So far we only had one tenant whose pet did not damage, urinate on the carpet and scratch door posts, chew gates etc. Even the long haired cat which seemed to be looked after left a matted carpet where she slept. In many cases people sneak in their pets and are upset when we ask for the appropriate deposit or give the animal back to where it was obtained from. I love animals , but I rather not rent to people with pets. I don’t allow pets as a rule generally. The only exception to that is cats (preferably declawed) in apartments with floors that are exclusively tiled. I love animals and have had pets of my own so I know first hand the problems they can cause. Dogs often bark, disturbing the adjoining units and they can sometimes destroy carpets or wood surfaces as can cats. Cats meowing can disturb other units but this is pretty rare. Both dogs and cats will leave fur behind and dogs tend to leave more of an odour behind and are more likely to bring in fleas and ticks. Both dogs and cats can leave a mess on the floor. My cat had cancer and for 1.5 years and what came out of him ate through the wood floors, destroying them.